Over the past 20 years a number of studies have examined whether analgesia occurs following exercise. 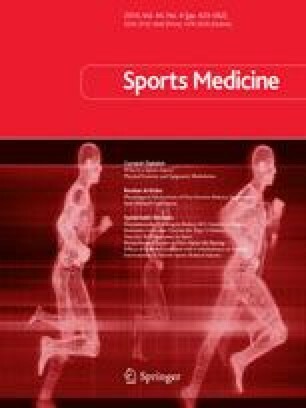 Exercise involving running and cycling have been examined most often in human research, with swimming examined most often in animal research. Pain thresholds and pain tolerances have been found to increase following exercise. In addition, the intensity of a given pain stimulus has been rated lower following exercise. There have been a number of different noxious stimuli used in the laboratory to produce pain, and it appears that analgesia following exercise is found more consistently for studies that used electrical or pressure stimuli to produce pain, and less consistently in studies that used temperature to produce pain. There is also limited research indicating that analgesia can occur following resistance exercise and isometric exercise. Currently, the mechanism(s) responsible for exercise-induced analgesia are poorly understood. Although involvement of the endogenous opioid system has received mixed support in human research, results from animal research seem to indicate that there are multiple analgesia systems, including opioid and non-opioid systems. It appears from animal research that properties of the exercise stressor are important in determining which analgesic system is activated during exercise.